Monopods are often considered a cheap, lightweight alternative to tripods. Perfect for run-and-gun shooting, they compromise stability for efficiency, and are often affordable, at under $50. Unless of course, you’re looking at a Manfrotto Monopod. Manfrotto is a film equipment brand based in Northern Italy that specializes in stands, tripods, and accessories. They are the leading authority when it comes to tripods, and although they specialize in high end equipment, they also have many more affordable offerings. So in this article, we are going to detail several of the Manfrotto Monopod models to see how they stack up against one another. Please keep in mind that some of their monopods and attachments are suited for videography, while others are suited for photography. Make sure to pick the right one for your needs to get the best value possible! 2 Is A Manfrotto Monopod Worth Buying? 3 Looking For an Alternative to Manfrotto? Manfrotto has dozens of different varieties of monopods, tripods, and other types of stands. Today we’re going to be taking a look at a few of their most popular Monopods to see if their features really justify the cost. This is one of the most unique options that Manfrotto has in their collection. The Manfrotto 685B is a photo monopod designed with speed and agility in mind. As you can probably see in the picture above, this Monopod features a very different locking mechanism. Rather than having to pull apart locks on the sections, you can simply pull the leg downwards and it automatically locks at any height. No screws, knobs, latches or levers. This makes it so that if you need to quickly document something you’ll be good to go in just seconds. Then, to fold it back up you can simply pull a trigger allowing you to push the leg closed. Extremely strudy with up to a 17.6 lb maximum load, the 685B Neotec extends up to 67 inches in the center column. The construction also prevents water or mud from entering the monopod, and the monopod-warmer protects your hands from extremely hot and cold conditions. This specific monopod has been acclaimed for it being the perfect pick in the rapid deployment monopod niche. This is a perfect monopod for weddings, as you will often need to quickly extend your stabilizer to capture picture perfect moments before they slip away. The Rubber foot on the bottom can be removed to reveal a spike that makes the monopod extremely stable in outdoor environments. Some other reviewers have stated that it’s fast acting telescoping has allowed them to get twice as many shots as their colleagues who needed to waste time fumbling to set up their monopods. You might be able to tell, but this is our favorite Monopod out of everything Manfrotto has to offer. It’s high quality, and there is a very compelling reason to buy it. It’s not the best monopod of all time, but it is the absolute best if you are looking for something to rapidly deploy. The Xpro Carbon Fiber Monopod is Manfrotto’s top of the line monopod for still photography. It features a max height of 5 feet 9 inches, and is extremely lightweight at only 1.5 pounds. It is extremely sturdy, comfortable to work with, and the weight means you can bring it everywhere without even noticing it’s there. The link we have provided is to a model of the Xpro Carbon Fiber including a 234RC swivel head that has full tilt functionality and allows for…. That’s right, this head allows you to effectively take photos from a position directly above! This makes this tripod perfect for product reviews and very stylistic birds-eye-view shots. Keep in mind, this Monopod is intended as a lightweight photography Monopod. It does not include a fluid movement base or head for panning. Plus the carbon fiber material is a little less desirable for videography than the heft you get with aluminum. Because of these factors, it is not the most effective choice for videography. The quality of the wrist strap has also been criticized a few times, but we don’t think the wrist strap is as important enough to outweigh all the great things about this monopod. 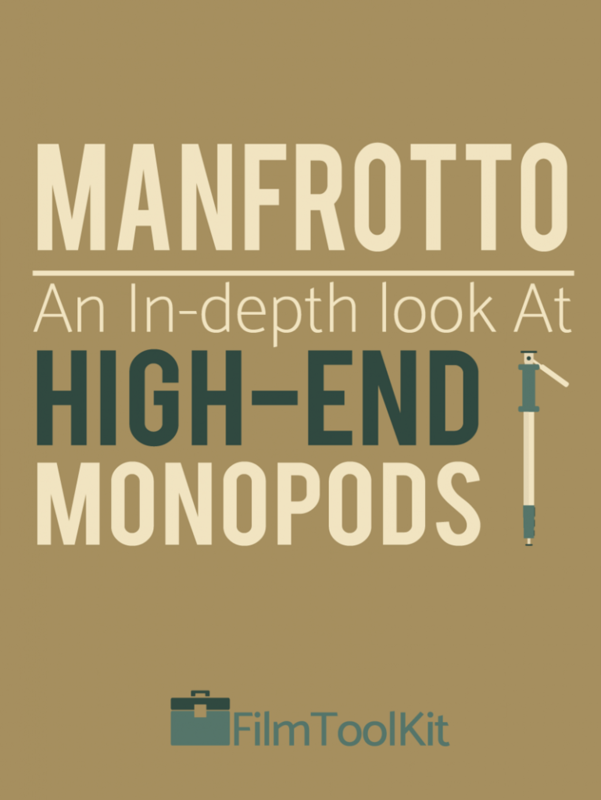 This is pretty much the cream of the crop when it comes to Manfrotto’s video monopods. It is very similar to the photography Xpro model featured above. The primary difference being it has a more hefty Aluminum construction. In terms of stats, this monopod extends up to 80 inches, much higher than most of the other monopods we have come across. It also weighs in at around 4.6 pounds. This is significantly heavier than carbon fiber models, but for video work and larger camera rigs, the weight is necessary for stabilization. It also comes with two vital video attachments that many of Manfrotto’s other products lack: The Fluidtech base, and the premium 500 series video head. They make this Monopod just about perfect for video recording, but also bump up the price significantly. The Fluidtech base is a three pronged retractable base that improves stabilization and allows for fluid horizontal panning. This means it is pretty much useless if you only plan on buying a monopod for still photography. This base is also available sold seperately if you would like to attach it to one of their other offerings to convert a photography monopod into a video monopod. The Premium 500 series video head included allows for easy, adjustable tilting and quick access plates that can slide in and out. Do keep in mind however, if you plan on swapping parts later on, that this head does not allow panning. The monopod is able to pan, but only through the Fluidtech base. This also means you will not be able to adjust the stiffness of your pans, which may or may not be important to you. It is also available for quite a bit cheaper if you are willing to forego the additional attachments. However, in our opinion, those attachments are what make this product worth buying. The 290 collection is designed with passionate hobbyists in Mind. Their 290 series monopod is designed to be more compact and affordable than their other models. The Manfrotto 290 Monopod features a rubber grip, a disc that allows for head attachments, and a wrist strap for portability. It has an 11 pound weight capacity, which is not strong enough for heftier setups, but should be way more than enough for the average hobbyist. There is a similar pattern with the 59.4 inch maximum height, which is not as high as some of their other choices, but should still satisfy almost all consumers. The carbon fiber model only weights ONE POUND making it the most portable model in this guide. It is very strongly reviewed and is perfect for hiking, quick shoots, and a sidearm to a stand kit with a tripod. Although the Carbon Fiber plays a large part into the whole portability factor, if you are interested in this model but can’t afford it, there is also an aluminum model available for almost half the price. If panning or tilting is an important factor to you, you’ll need to make sure you also purchase one of Manfrotto’s advanced monopod heads separately. However, if those features wont be necessary for you, we think that the 290 series is a pretty great value! Alright. This next one is a bit odd. But hey, I’m not the most outdoorsy person, so maybe you’ll think this is more useful than I do. As you may be able to tell from the pictures, this is a pair of walking sticks developed by Manfrotto which also doubles as a monopod. I mean, if you’re an outdoor photographer that also happens to carry a walking stick, then there is really no excuse for you to not have this product. They are fully functioning sticks for walking and hiking that will give you shots as stable as any other monopod. However, if you are an individual who does not utilize a walking stick (So, like, 99% of the people I know), then its probably in your best interests to get an actual monopod with actual monopod features. Many reviewers are impressed with their performance as walking sticks (and monopods). However, we have witnessed a few reviewers complaining that the rubber feet on the bottom of the poles can come loose and get lost. Do keep in mind that as this is not a standard monopod, it is likely unable to be compatible with many of Manfrotto’s advanced monopod attachments. But why would you need a fluid base on your walking stick anyways? This monopod is another one of Manfrotto’s unique offerings. Rather than a walking stick however, this one functions both as a Monopod and a Go-Pro pole! This is the perfect product for any outdoor vlogger or photographer who likes to shoot on the move with a Go Pro and a DSLR. It is a 4 section monopod made of aluminum that extends as far as 54 inches. It also features a wrist strap so you can be sure not to drop it when in selfie mode! 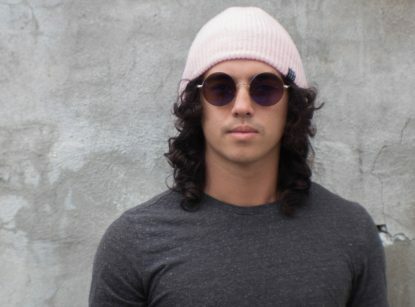 Many Vloggers have been very impressed with it’s quality and versatility. The joints are reportedly sturdy and easy to open, close, and lock, and the grip is very comfortable. If you’re looking at a more premium “Selfie Stick”, this is definitely a thousand times better than the cheap $5 ones you’ll find in tourist shops. Do keep in mind that the head is not sturdy enough for heavier DSLR setups. This shouldn’t be a problem unless you are working with a large telephoto lens. But of course, if you’re working with a big telephoto lens, maybe you should be stabilizing with something other than a fancy selfie stick. Just sayin. Is A Manfrotto Monopod Worth Buying? We’ve discussed their quality and extensive features. But is it really worth it to pay between $100-300 for a monopod when you could pick up one from Amazon Basics for less than $15? In our opinion, Manfrotto is at their best when they are creating unique, high quality niche products. Their 2-in-1 pole, walking stick, and “fastest monopod in the world” are all very compelling choices. They all provide extra strength in specific shooting situations that the competition simply does not. However, when it comes to their standard rigs, they are very high quality, but often considered by many to not be the best value possible. It also should be noted that unlike many of the brands we have seen on Amazon, Manfrotto does not typically include a carrying bag with your purchase. Rather, they are sold separately for surprisingly hefty fees. Most of their products are guaranteed to last with a two year warranty. Just make sure you’re buying it from an authorized dealer like the ones we are linking to in this article. This definitely makes their monopods more appealing, as you won’t have to worry about it breaking on you. They may not be the cheapest monopods, but from our research, it really seems like Manfrotto is a name you can trust. Several of their products are best in class, and from our research, we can say that their brand definitely lives up to the hype. Looking For an Alternative to Manfrotto? So if you don’t need a Manfrotto Monopod, what kind of monopod should you get? We’re working on putting together a guide to recommend the Top 5 Monopods for Video Production. It should have a wide range of selections to fit your needs and budget, so make sure to check it out if you’re still looking to buy a monopod!